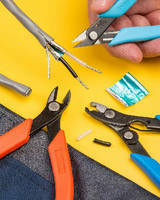 Portable Tool Kit preps and repairs wire and cable. 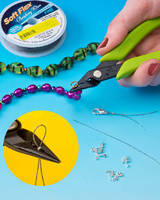 Wire Cutter prevents cut pieces from getting lost. 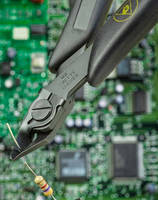 ESD Safe Wire Cutter has tapered head and lead retainer. 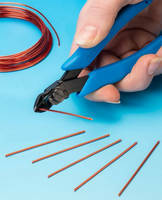 Wire Stripper and Cutter handles 12-26 AWG stranded wire. Made from alloyed steel, Model 505ST features thumb-adjustable dial cam for changing wire sizes from 12 to 26 AWG and for keeping tool closed for storage. 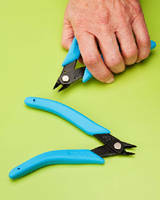 Ergonomic hand tool, designed for repeated cutting and stripping, has Light Touch™ return spring and non-slip Xuro-Rubber™ handle grips. 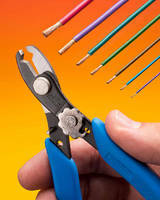 Tool provides optimum working leverage and is suited for assembly and field service use. 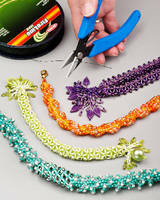 Bead Crimper eliminates need for multiple tools. 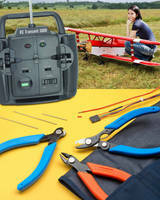 RC Model Aviation Tool Kit provides 3 hand tools in one pouch. 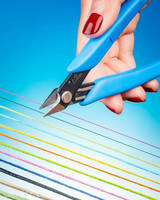 Wire Cutter features ergonomically bent handles.